People’s Initiative To Commemmorate Mahatma Gandhi’s Martyrdom Day! • Commemorate, pay homage and stand in silence for 2 minutes on the 30th of January at 11.00am and/or 5.17pm. • Organise Sarva Dharma Prarthana, Inter-Faith Prayer meetings. It was on this ominous day, 71 years ago, that Mahatma Gandhi was assassinated by a religious fanatic. The Apostle of Peace and Non-Violence was shot dead as he headed for an Inter-Faith Prayer meeting. A nation stood shocked! A man of prayer and peace, a man who strove for unity, harmony and co-existence among all religions, our diverse cultures, the man who united the nation and led our freedom struggle against the British – lay dead….killed by a religious bigot, motivated by an ideology of hate. The man whose entire life had been a tireless message for peaceful co-existence and non-violence had met with a violent end. The nation mourned as one. After 71 years of our independence, the nation is witness to the growing forces of religious hatred, bigotry and violence. The attacks on Minorities, Women, Dalits, Tribals, Journalists, Human Rights Activists have continued to increase. The economic exploitation of the workers and farmers has increased, leading to lakhs committing suicide, widespread unemployment and pauperisation. It was during the course of our Freedom Struggle, that the ‘Idea of India’ further evolved and we bequeathed a modern Constitution unto ourselves. Today this very Idea, our very Constitution is under threat from the forces of majoritarian religious extremism and fascism. It is to defend these very ideals, the ideals of an India, united in its diversity, committed to a modern Secular Democracy, Social Justice & Gender Equality, an Egalitarian society, that a number of secular organisations have come together and issued a National Call to Commemorate Martyrs Day, 30th January 2019, as a day for committing to and defending the values of Non-Violence and Communal Harmony. 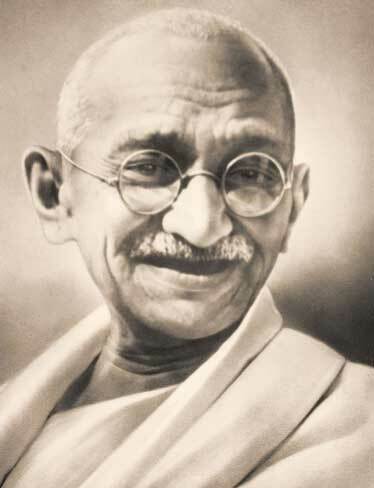 We thus call upon the People of India, upon all secular Political Parties, Social Organisations and Institutions to come forth and commemorate the Martyrdom of Mahatma Gandhi and the moral values that he stood and died for. Thus let’s stand in silence in our schools and colleges, in our homes and offices, in our fields and factories, in our places of worship, the pheriwalas and in our shops, even as we travel or then as we walk on the streets. Let the entire Nation stand in silence as One! Thus let’s once again reaffirm our commitment to the Father of Our Nation and his message. Let the Nation rise as One, rise together in our silence!